DETROIT -- Chrysler Group filed paperwork Monday for an initial public offering, a move that could delay Fiat's efforts to take full ownership of the U.S. automaker while enhancing the value of the stake held by a union trust fund. The IPO of up to $100 million comes over the strenuous objections of chief executive Sergio Marchionne, who wants to merge Fiat and Chrysler and make the world's seventh-largest automaker, Chrysler said in a securities filing. Marchionne, who has led both Chrysler and Fiat since Chrysler's 2009 U.S. government-financed bankruptcy restructuring, prefers Fiat to buy the 41.5 percent Chrysler stake held by the United Auto Workers trust fund. But he has been unable to strike a deal and prevent the UAW trust from exercising its right to force Chrysler to go public. In its filing with the U.S. Securities and Exchange Commission, Chrysler said an IPO may "prevent or delay" Marchionne's aims, which has caused Fiat -- which owns 58.5 percent -- to rethink the benefits of its alliance with Chrysler. "Fiat has informed us that it is reconsidering the benefits and costs of further expanding its relationship with us and the terms on which Fiat would continue the sharing of technology, vehicle architectures and platforms, distribution networks, production facilities and engineering and management resources," Chrysler said in the filing. "Fiat is saying that Chrysler is worth less if we don't get that full integration. It's a shot across the bow of the UAW," said Richard Hilgert, analyst with investment research firm Morningstar. The offering will be underwritten by JPMorgan (JPM), Chrysler said in its securities filing. 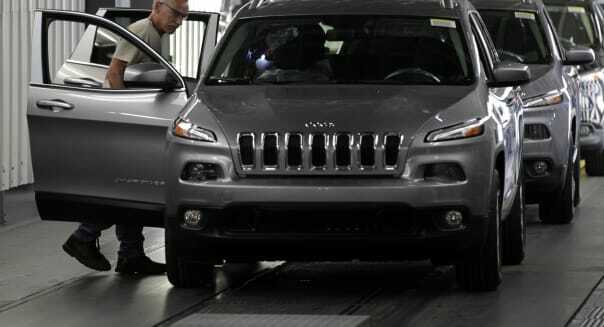 Chrysler didn't say how many shares will be offered in the sale, the entire proceeds of which will go to the UAW trust fund. The conflict between Fiat and the UAW trust highlights the unusual nature of the bankruptcy restructuring that saved the third-largest U.S. automaker more than four years ago. %VIRTUAL-article-sponsoredlinks%A provision in the bankruptcy gives the UAW trust the power to maximize its payout by forcing Chrysler to go public. The UAW trust fund decided in January to sell part of its Chrysler stake in an IPO. Marchionne said in mid-September that the IPO is likely to take place in the first quarter of 2014. "The Chrysler IPO is a textbook example of the difficulties that can occur when debt is converted into an ownership stake, as it was during Chrysler's bankruptcy, especially when that ownership stake is held by an interested party, in this case the United Auto Workers' healthcare trust," said Jack Nerad, executive editorial director and market analyst of auto research firm Kelley Blue Book. Marchionne and the UAW trust, a voluntary employee beneficiary association, or VEBA, have been at odds over the value of Chrysler. Their inability to agree on a price for the VEBA stake led to Monday's IPO filing. Chrysler has risen from a nearly dead company in 2009 to one that is stronger than its parent in Italy. Still, Chrysler said in its filing: "Despite our recent financial results, we have not yet reached a level of sustained profitability for our U.S. operations." Chrysler, based in suburban Detroit, had cash and cash equivalents of $12.2 billion as of June 30. Its net profit in the first half of the year fell 21 percent to $764 million from $966 million in the previous year. Marchionne had wanted to avoid the IPO because the sale could delay his plans for a full merger of the two companies. A full merger would make it easier -- but not automatic -- to combine the cash pools of the two companies, giving Fiat more funds to expand its product lineup. Currently, Chrysler and Fiat are forced to manage their finances separately, even though they are run by the same executive team.